On Saturday November 9th, WagonWheel Presents… brings not one but two fine Canadian singer/songwriters to The Greystones. Royal Wood returns to Sheffield and will be joined by his fellow Juno nominated countryman Peter Katz. Support comes in the form of an acoustic set from Big Convoy. Advance tickets priced at £8 are available from http://www.wegottickets.com/event/225948 or entry on the night will be £10. Doors open 7.30pm for an 8pm start. Royal Wood’s career has been established with critical acclaim and impressive musical achievements. His latest release We Were Born To Glory debuted in the Top 25 charts in Canada and was recently nominated for “Adult Alternative Album of the Year” at the 2013 Juno Awards. The single “ I Want Your Love” reached No. 1 on the CBC Radio 2 charts for three solid weeks, and remained in the Top 20 for 14 weeks straight. His videos for “Not Giving Up” and “The Glory” both found heavy rotation on Much Music. His music has been used in several TV and Film productions, including major TV shows like Grey’s Anatomy, Private Practice and Being Human. A 2011 Juno nominee for Songwriter of the Year, a past recipient of the iTunes’ Songwriter of the Year, and finalist in the “International Songwriting Competition”, Royal has been asked to co-write with such notable artists as Randy Bachman (BTO, Guess Who), Colin James and Wayne Petti (Cuff the Duke). His abilities as a producer and an arranger were recognized on his 2010 release The Waiting, when iTunes and CBC Radio 2 named his record one of The Best Album’s of the year. His records have been released worldwide on Maple Recordings/Universal and Rounder Europe, and he has successfully toured in Canada, USA, Germany, France, The Netherlands, UK, Ireland and Italy. 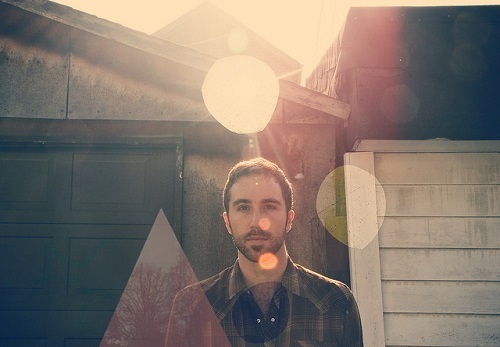 Wood has also supported national tours with David Gray, Sarah Harmer and Serena Ryder. Peter’s 2010 studio record ‘First of the Last to Know’ debuted at #1 on the iTunes singer-songwriter charts and features a guest appearance by Academy Award Winner Glen Hansard (The Swell Season, ‘Once’), JUNO Award Winners The Good Lovelies and Melissa McClelland (Whitehorse, Sarah Mclachlan) 2011 saw Peter release a live CD/DVD entitled “Peter Katz and Friends: Live at the Music Gallery”, an intimate snapshot of Peter doing what he does best, playing for a room full of people. The concert was recorded in front of a sold-out crowd and reveals an artist at home on the stage, connecting with an audience like few performers can. It also recently earned him a JUNO nomination for Music DVD of the Year. If you would have walked into ‘The Green Room’ anytime in 2007, you could have found any number of these people playing songs and partying harder than any jobbing unsigned musicians had a right to. In 2012, with a lot of water under the bridge and whole lot of other stuff too, they finally come good on promises made and are in a band together, a year that also saw them release their self titled debut EP which was followed up with 2013’s “Life Is Easy When You Know How”. 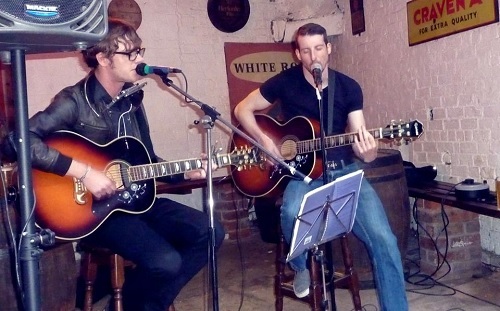 Tonight John & Mat perform an acoustic set, as they did for us at Tramlines.